In the beginning of 2005, I finally had enough money to mod my PS2. It was a dream-come-true for me; for several years I had imported games that I couldn’t play, but knew I would someday. Since I enjoyed the complexity of Xenogears, the release of “prequel” (depending on how you see it) Xenosaga made me excited. Last year I started playing and I was aware the critique the game had gotten. People complained that it was too much like a movie; that you didn’t get to play as much and so on. 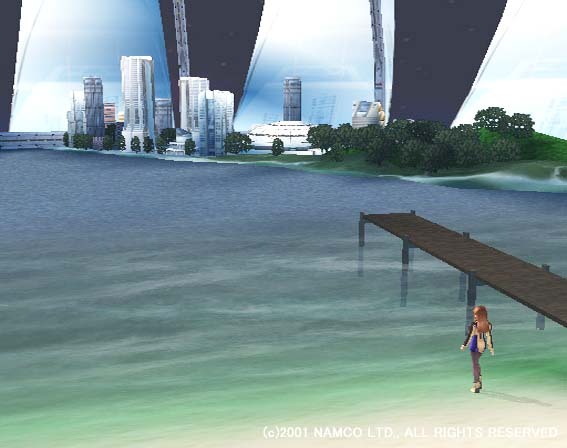 And sure enough, Xenosaga is not like any other RPG out there and for some reason I didn’t complete it back in 2005, although I was just a few hours from the final boss. So now, I decided to give it another go and no wussing out this time. To my surprise, I fell in love with this game, instead of feeling slightly annoyed, like I did last time. 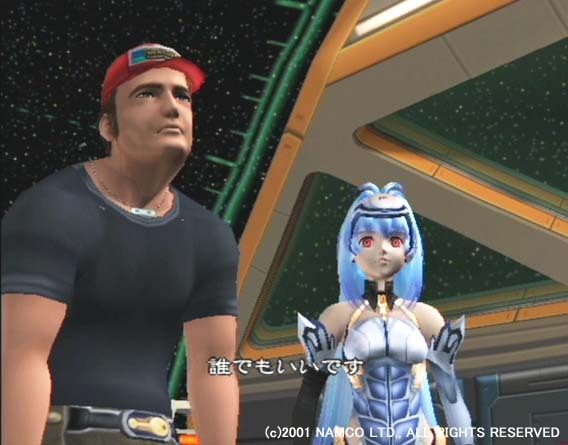 Xenosaga is a very grown up game. And this is not referring to R-rated material; it’s the plot I’m talking about. 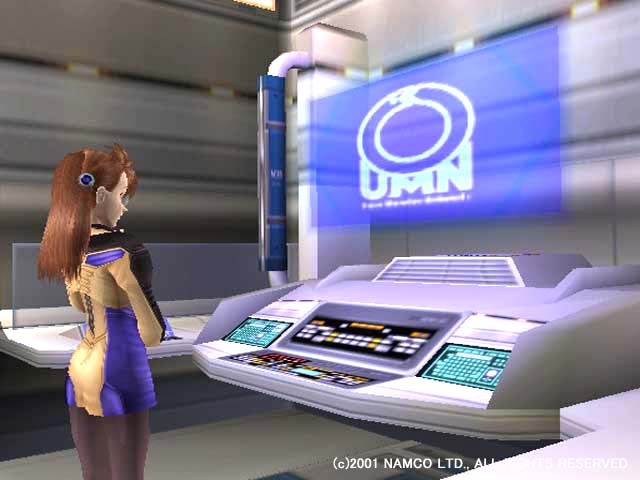 Xenosaga is an easy enough game to play, but you gotta keep focused on the plot, because it is very complex. This being my second time playing, I still didn’t fathom all of it. Then again, there are two more games for me to play, so I’m sure things will fall into place one after the other. Still, there are a lot of people and events to keep track of. The Federation, the Kukai Foundation, U-DO, Gnosis, and Zohar are only a handful of things that this massive plot contains. It’s so complex I can’t even write a short summary about it without making this review too long. But it’s all about saving the world, more or less, just as any other RPG. The characters are all very well made, both aesthetically and personality-wise. 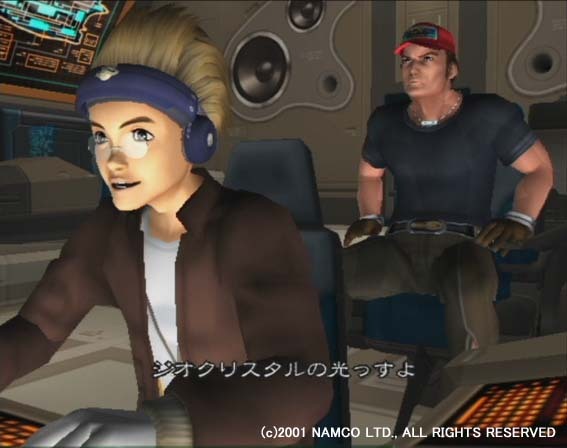 It’s not just Shion, KOS-MOS, chaos, MOMO, Ziggy and Jr. that are important in this game – the NPCs play an equally big part. What I noticed this time around is how affected I got by all the different characters, their personalities and their past. They all come together through a chain of events and unlike some RPGs, it’s believable. No one just “happened” to stumble upon the group and tagged along just for the “thrill of adventure”. There’s depth and everyone seems to be connected to each other, in one way or another. The game dates back to 2002 and even though 4 years have passed, the visuals are still breathtaking. The PS2 is really pushed to its limits, especially when it comes to explosions. I’ve never seen explosions like these, they look so real! Most of the time you will be running around spaceships and empty corridors and the surroundings feel a bit “sterile” if you will. Still, the dungeons have an interesting design. All enemies are visible and there are certain “traps” that you can activate on the field. The soundtrack, composed by Yasunori Mitsuda (Chrono Trigger & Cross, Xenogears) is a special one. First off, the London Philharmonics helps perform a number of songs. Second, Mitsuda’s music is genius as always but this time it’s much more dark, mysterious and fierce, compared to what you’re used to hearing. Third, there’s normally music during the long cut-scenes, but not so much while actually running around. Not to worry, this works – it adds to the atmosphere of being out in empty space. 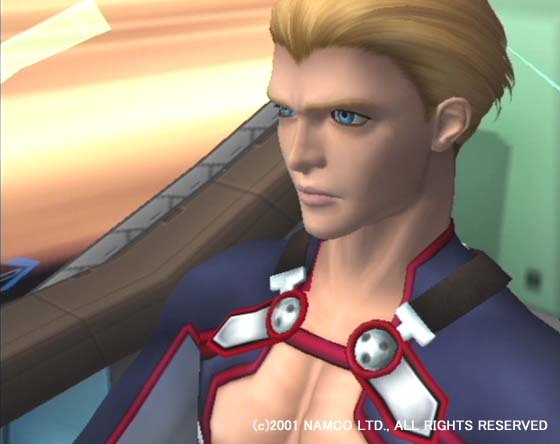 As for the cut-scenes, the critics were right about one thing – Xenosaga almost yearns to be a movie. But it’s not. There is plenty of gameplay to experience, and the long cut-scenes are well thought out and extraordinary gripping. 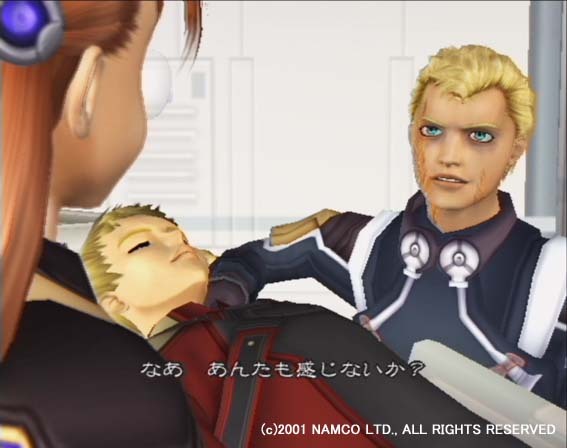 When I think about it; such a complex plot like Xenosaga’s could not have worked out as a “normal” RPG. 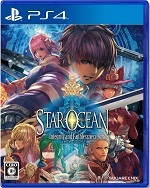 It had to be done this way and I thank Monolith Soft and Namco for being brave enough to break some boundaries. 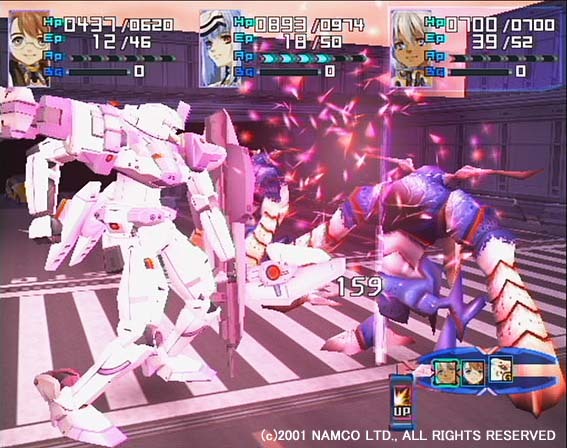 If there’s something I dislike about Xenosaga, I would have to say the battles – sometimes. 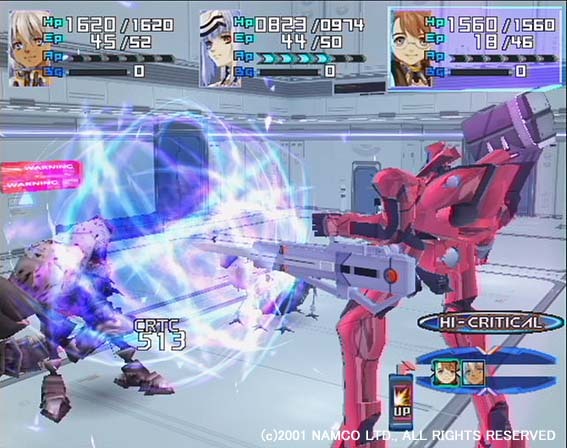 See, compared to the fun battle system of Xenogears, well, Xenosaga’s reminds of it, but is not as good. It becomes a bit boring after a while, especially when you find certain attacks and skills that work on almost every enemy and you just keep pressing those buttons. But that’s pretty much it. The voice acting is fantastic. These voice actors really took their job seriously and that’s always such a relief. I love Shion’s shrill yet determined voice. She reminds me of Lucca (Chrono Trigger) in many ways. I love chaos and his soft, gentle speaking-tone. KOS-MOS with her somewhat dark, almost monotone voice is just perfect for her character. 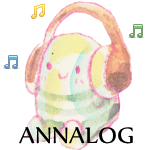 I can’t wait to start playing Xenosaga 2. I guess I’ll get started after I’ve finished this review. Better make sure I have as much of the plot fresh in my memory. In hindsight, I guess I hadn’t leveled enough when I arrived at the final dungeon, last time I played. And then it seemed like such a hassle to do so. In a way, it was a good thing that I quit playing then, and waited until now. Don’t let people who claim “this game is too much like a movie” scare you. Play this game and follow these loveable characters’ pains and achievements. It’s worth it.